The Bridge Street District is an entertainment, dining, retail and office destination with riverfront parks and appealing housing choices. This urban, walkable district is an economic development driver – creating new jobs, attracting a talented young workforce and retaining seasoned professionals. What’s in it for our residents? Experiences. Housing options. Property values. 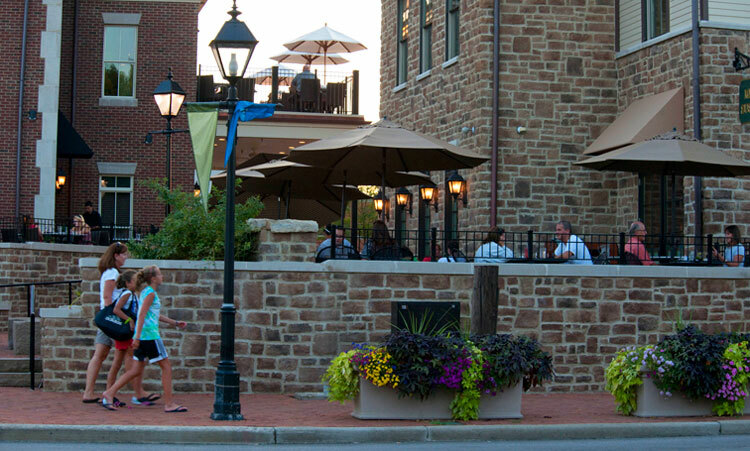 The Bridge Street District extends the experience of our walkable and vibrant Historic Dublin. It provides housing options for residents who want to remain in Dublin and enhances our property values by attracting young professionals who want to live where they work. Workforce. Access to amenities. Economic competitiveness. The Bridge Street District attracts a talented young workforce and retains seasoned professionals; provides convenient access to an array of amenities and fosters an environment of economic competitiveness for new business ventures and iconic world headquarters. People want choices, urbanism and walkable communities. Decisions are driven by empty nesters seeking an active lifestyle in a vibrant environment. Young professionals want to live and socialize near their work places. The Bridge Street District is Dublin’s response to these trends. It will differentiate 1,100 acres of our 25 square-mile community. It will provide more choices for our residents and corporate citizens and add value to our existing homes. It also will expand and enhance the unique attributes of destinations such as Historic Dublin, add new life to venues such as Dublin Plaza and the Shoppes at River Ridge, and create new housing options such as Greystone Mews. It will introduce new parks and river access, host overnight guests at new hotels, feature cultural spaces and public art, open doors to eclectic restaurants and retail, be the home to our new library, attract new businesses and new jobs … and connect community with an iconic pedestrian bridge over the Scioto River. The first projects of this 40-year vision are emerging in the Scioto River Corridor.